A Wisconsin couple have been arrested after their 15-year-old son died in the midst of a 40-day fast, according to police. Kehinde Omosebi, 49, walked into the Reedsburg Police Department to report the death of his son, Ayanfe Omosebi, according to police chief Timothy Becker. Officers responded to the family's home but found that they had to force themselves in because the doors were padlocked from the inside. Inside, police found Ayanfe Omosebi 'extremely emaciated and deceased,' Chippewa.com reports. 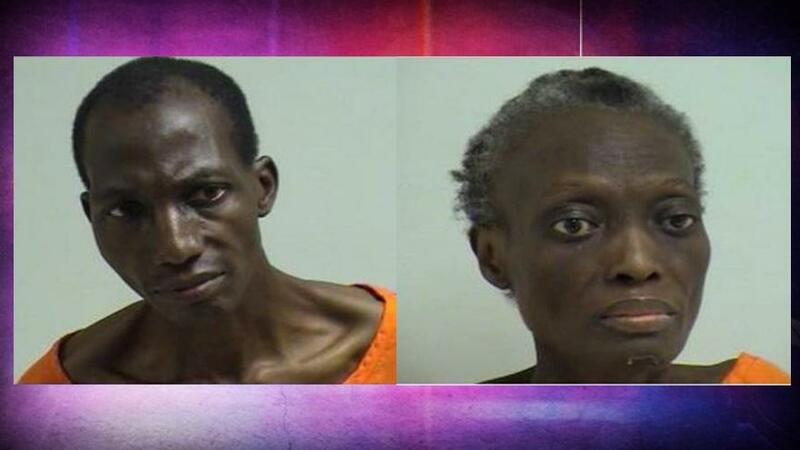 The boy's mother, 48-year-old Titilayno Omosebi, was also found in the home emaciated along with an 11-year-old child. Kehinde shared with authorities that they had been on a fast since July 19 and that he was a 'religious minister affiliated with Cornerstone Reformation Ministries'. The father told police that his son died on Friday which would have marked the 44th day since they started fasting. No food was found at the residence. Both Titilayno and her 11-year-old child were taken to a hospital. The mother refused treatment, citing religious reasons. Both parents were taken to the Sauk County Jail for charges of child neglect causing death and neglecting a child causing great bodily harm. The 11-year-old was taken to child protective custody and the Children's Hospital in Madison. EEDSBURG, Wis. (AP) — Wisconsin prosecutors charged a father and mother Tuesday with child neglect for allegedly allowing their teenage son to starve to death and his brother to become severely emaciated during a religious fast. Starve them to death if they are so into it. This is certainly a new breed of "reformation". All the reformed churches I've seen in the past were only an excuse to wear jeans instead of getting dressed up. "The father told police that his son died on Friday which would have marked the 44th day since they started fasting." God doesn't ask children, the sick or elderly to fast. No one is supposed to fast if they get ill from it. God is counting on parents to watch over their children in this. You know , to be a good shepherd like God. Then you get these fanatics with their own spin on it. Just another "Daddy" Power tripping. The younger brother of a 15-year-old boy who starved to death while their family prayed and fasted for weeks wrote a letter that investigators found inside the locked southern Wisconsin apartment pleading with lawyers to save him. Kehinde Omosebi told police the last time the family had eaten was July 17, according to the complaint. He said the family had fasted before but never for so long. A Reedsburg mother has reached a plea deal with prosecutors after one of her children was found starved to death following a Religous fast. Titilayo Omosebi was in Sauk County court on Thursday to enter a guilty plea to one count of Neglecting a Child with a Consequence of Death. In exchange for the plea one count of Neglecting a Child with Consequence of Great Bodily Harm was thrown out. Omosebi's 15-year-old son was found dead back in September. His 11-year-old brother was found alive but severely malnourished. Her husband, Kehinde, is also facing charges of Child Neglect and is undergoing competency evaluations. So they just sat in the apartment praying and thinking about food for 40 days!? A mother, who pleaded guilty to the starvation death of her child, was given a six-year sentence Thursday. Titilayo Omosebi was sentenced to three years in prison followed by three years of extended supervision. In handing down the sentence, Judge Wendy Klicko noted that at the end of that time Omosebi’s younger son would be 18 and able to decide for himself whether or not to continue to associate with his parents. Reedsburg Police investigated after a 15-year-old boy was found dead in his home in September. Police say he was extremely emaciated. His 11-year-old brother was also found extremely malnourished but was alive. Their parents told police they were participating in a religious fast. Well, that's a disappointing sentence .. I bet the sentence is based on cultural and religious beliefs the parents had.